He is an experienced writer and broadcaster on all subjects related to companion animals and for four years had a regular weekly pet 'slot' on Jenny Hanley's afternoon show on Saga Radio. He publishes the weekly publication Our Dogs for which he writes and reports regularly and owned the magazine Dogs Monthly from 1992 until 1997. He has written five books about dogs with a sixth , Running Your Own Boarding Kennels now in its fifth edition. Two further books are in hand. He devised Dog Directory to bring good dog breeders to the attention of the public and created the Rescue Dog of the Year Competition which was sponsored by Eukanuba and supported by Dogs Today. 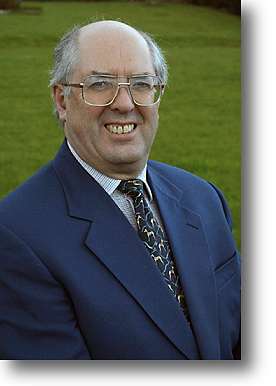 He was a trustee and member of the board of the Pet Care Trust (formerly the Pet Trade and Industry Association and now the Pet Industry Federation) for twenty years (1992 -2012) during which time he was instrumental in establishing the Pet Care Trade Association becoming Chairman of the Trust - the PCTA's charitable arm. He helped create and was a board member of the National Training Organisation for Animal Care (now subsumed into Lantra) for 15 years, representing the Association of British Dogs Homes on the late Lord Houghton's committee set up to reform the UK's Dangerous Dogs Act. He also served as a Trustee of the Charity PRO Dogs for ten years and was a member of the Dog Legislation Advisory Group. As a consultant to the animal care industry he spends some time as an advisor to kennel owners, manufacturers, breeders, retailers, conference and exhibition organisers and show managements. He also reported for Which? magazine in relation to boarding kennels. He has been closely involved with the Samsung company both in the UK and in Korea in helping the company chairman fulfil his vision of a change in Korean attitude to dogs and other pet animals. With his wife, Angela, he was joint manager of Bell Mead, Battersea Dogs' Home's Country Kennels at Old Windsor and deputy to the Director General of the Home for eleven years so he has also been deeply involved in the world of stray and rescue dogs and cats. Bell Mead was the UK's most prestigious kennel staff training college, boarded over 120 dogs, eighty cats, and housed and cared for 180 of Battersea's dogs as well as having a very busy grooming parlour. Prior to this he was a director of a major boarding and quarantine kennel which incorporated a large pet store and from 1990 to 1996 was part owner of a small boarding kennels near Bristol. He first became involved with the world of dogs as a breeder of Finnish Spitz and was elected a committee member of the Finnish Spitz Club running the Nordic Open show for several years in the 1970s. With Angela, who was herself Secretary and subsequently Chairman of the Finnish Spitz Club, he owns the 'Toveri' kennel name, one of the U.K.'s most successful breeding prefixes. He is Chairman and show manager of Southern Counties Canine Association, one of the U.K.'s major dog shows, served as Vice-chairman of The Kennel Club Breed Liaison Council for six years and was a member of The Kennel Club Working Party on shows development and judges training. He is currently President of the British Rottweiler Association and Chairman of the Rottweiler Breed Council. Although not a dog trainer he has become deeply involved in the promotion of sound, sensible and non-confrontational dog training and behaviour modification in recent years and is the independent Chairman of the Pet Education, Training and Behaviour Council. He has long been concerned about the fragmentation of groups and advertising through the world wide web and gradual erosion of personal responsibility through the increasing influence of institutions which are all too often more concerned with their own status than their objectives. He has therefore launched a number of dedicated and entirely independent not-for-profit websites which provide standards, recognition and involvement for all those involved. These include I Judge Dogs, the National Register of Dog Trainers and Behaviourists, The National Register of Groomers: more are planned. David judges 26 breeds at Championship level and is passed to judge Best In Show and the Working, Pastoral and Utility Groups at Championship Shows in the UK. During his time as a district councillor he was elected Chairman of Bracknell Forest Borough Council's Environmental Services Committee. Despite his involvement with the world of dogs he has been owned for many years by a succession of cats. Mr. Brooks, a black cat of considerable presence, was the latest in a long line of feline companions. His main outside interests are theatre, all forms of music but especially blues and mainstream jazz vocalists (click here to find out what he sounds like), travel, eating and drinking - not necessarily in that order. He is a member of the English Speaking Union and the Kennel Club.